This silver sedan has an automatic transmission and is powered by a 2.0L H4 16V GDI DOHC Turbo engine. Motivated by that strong motor it gets 12.6 L/100 km in the city and 9.6 L/100 km out on the highway according to Transport Canada. Our WRX's trim level is Sport-tech CVT w/ Eyesight. 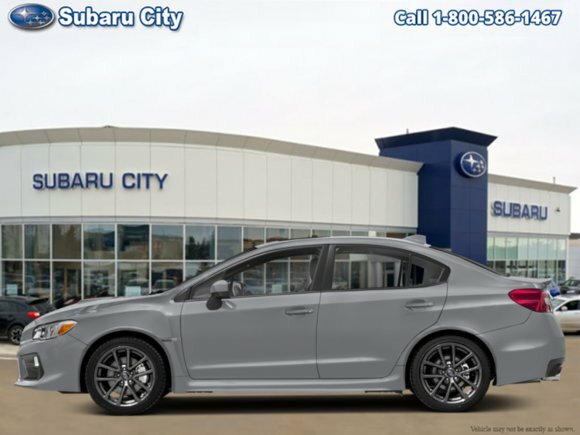 As the name implies, this trim is almost identical to the Sport-tech trim but adds EyeSight, Subaru's patented driver assist package. It also includes pre-collision assistance, adaptive cruise control, lane departure warning, lane sway warning, lead vehicle start alert, lane keep assist and EyeSight Assist monitor. Other additions include reverse automatic braking and high-beam assist. This vehicle has been upgraded with the following features: Navigation, Leather Seats, Sunroof, Bluetooth, Rearview Camera, Heated Seats, Blind Spot Detection. Want to try the 2019 Subaru WRX Sport-tech CVT w/ Eyesight?